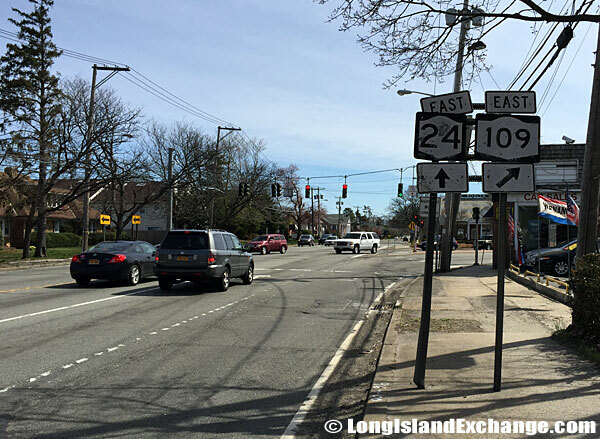 Route 109, also known as Farmingdale Road, is a four-lane highway on Long Island which runs from Hempstead Turnpike on its northern end and to Montauk Highway on its southern end. It runs mainly east to west but in a northwest to southeast direction. Route 109 passes through the counties of Nassau and Suffolk just north of the Republic Airport in Farmingdale. The length of Route 109 is about 7 miles. 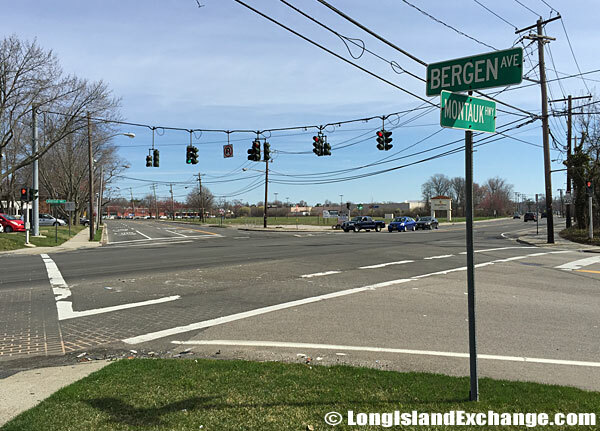 The intersection of Montauk Highway and Bergen Avenue where you would end up if you were to have taken Route 109 south and bared right at Great Neck Road. 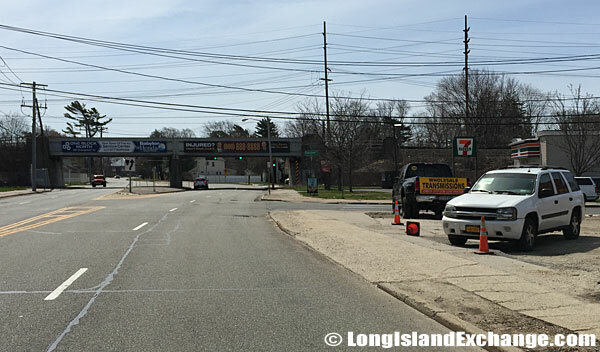 Route 109 at the intersection where 109 runs into Great Neck Road and Little East Neck Road across from the West Babylon High School. From the southern end, Route 109 begins at Montauk Highway, or Route 27A in Babylon, and runs North West past the Long Island Railroad near the Babylon station. There is a fork in the road right near West Babylon High School which consists of Great Neck Road, Little East Neck Road and Route 109. 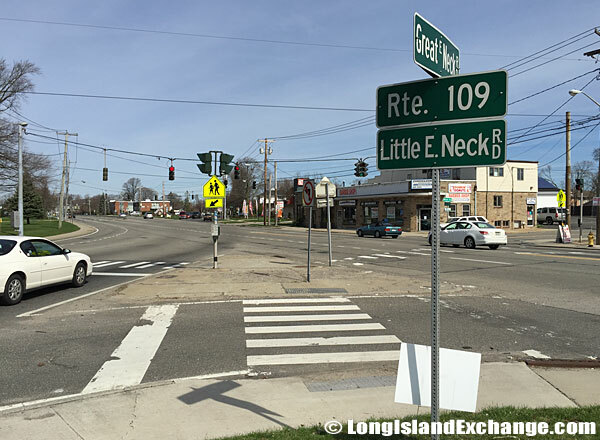 Even some locals get confused on where Route 109 actually continues at this point, being Great Neck Road or Little East Neck Road, although maps show it turns into Little East Neck Road when heading south. Route 109 heading northwest where the road meets the entrance to Sunrise Highway in West Babylon, approaching the Lindenhurst area. 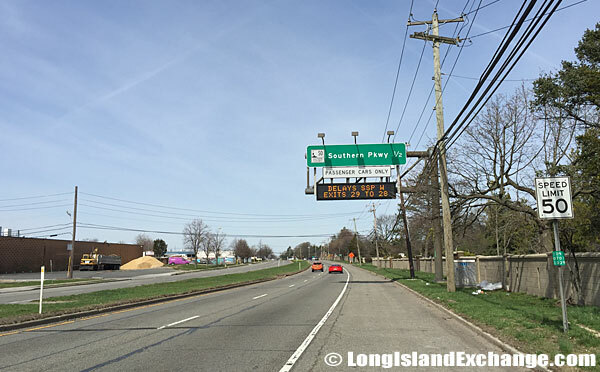 Route 109, Farmingdale Road, heading northwest near Mount Ararat Cemetery in Lindenhurst, NY, just south of the entrance for Southern State Parkway, also just south of New Highway. Route 109 at its northwestern end where Hempstead Turnpike crosses. From Babylon, Route 109 continues north passing Sunrise Highway, Straight Path, Wellwood Avenue, New Highway, and the Southern State Parkway making it a main travel route for those heading in and out of the busy industrial Farmingdale and Melville areas as well as its easy access to Route 110 and Southern State Parkway. 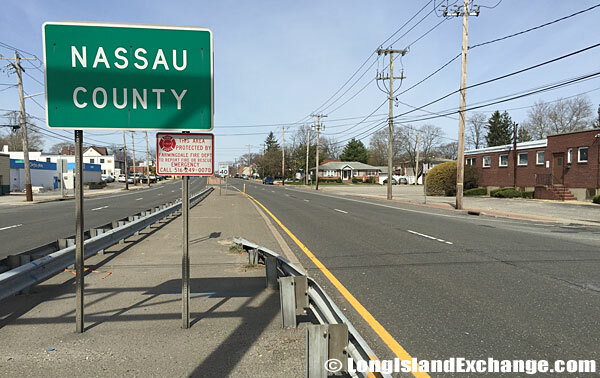 The road way passes into Nassau County just North West of the Republic Airport and changes names to Fulton Street in Farmingdale. It ends about a mile or so north at Hempstead Turnpike. 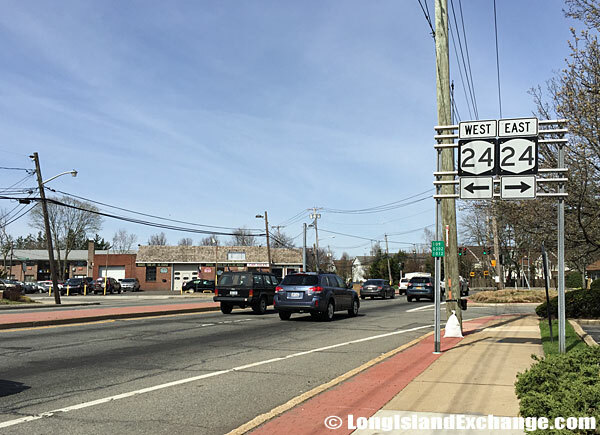 Route 24 Hempstead Turnpike East where Route 109 begins in the Farmingdale area. Making a right here begins a southeastern route on 109 at which the road is called Fulton Street. Route 109 passes through the counties of Nassau and Suffolk just north of the Republic Airport in Farmingdale. The length of Route 109 is about 7 miles. Route 109 heading southwest near the fork in the road marks the intersections of Great Neck Road, Route 109 and Little East Neck Road in front of the West Babylon High School. 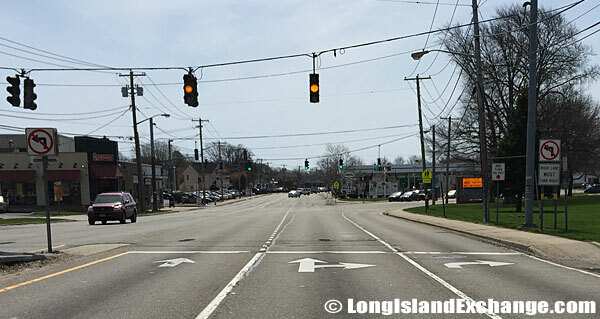 Route 109 ends at the Rail Road Crossing although some maps have it ending just a few blocks south of here at Montauk Highway. 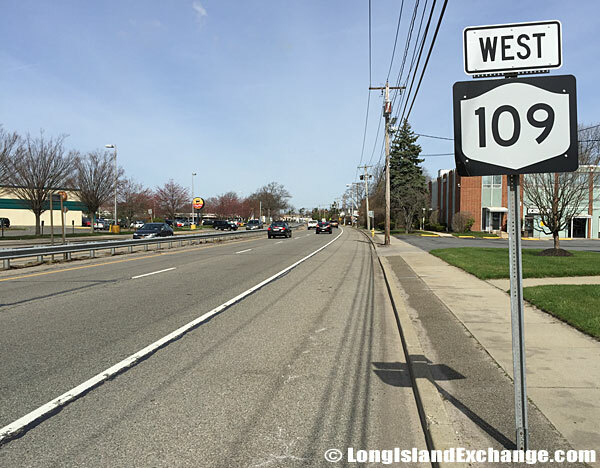 The majority of Route 109 contains a median dividing its four lanes, two on each side with many businesses, gas stations, libraries and eateries along its route. 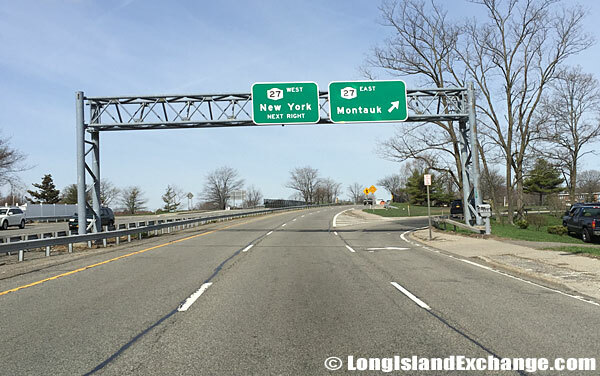 Although Route 109 is considered a four-lane state highway, it appears more as a community driven pass-way for most of its route including many apartment buildings, residential areas and the Mount Ararat Cemetery in Lindenhurst, NY.